Lonato: Young Emirati racing star Rashid Al Dhaheri added another excellent result to a super race season at the 30th Andrea Margutti Trophy Event, as he finished third in the Mini Category for Parolin Racing Kart. The race was against some of the best racing talent in the world, with 45 drivers from 20 different nationalities in the 8-12 age category. 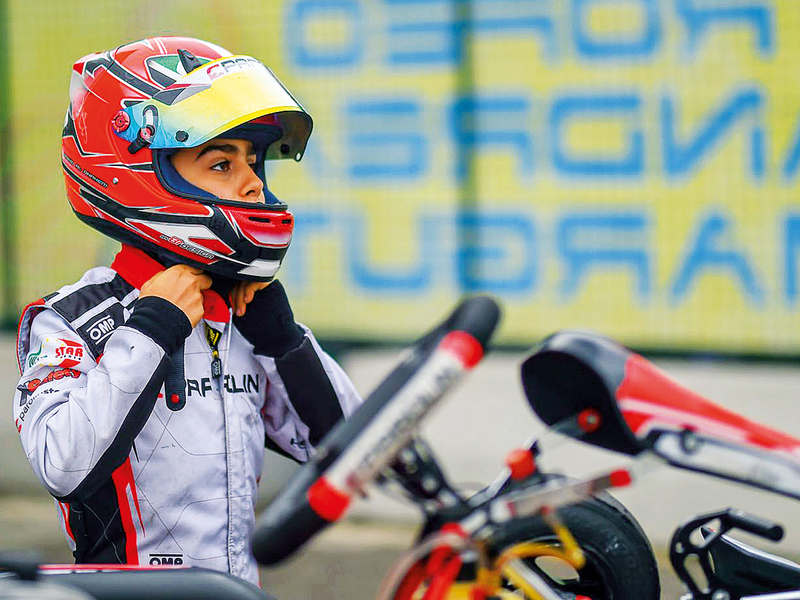 The racing weekend, over April 4-7 at South Garda Karting in Lonato, saw consistent performances from Al Dhaheri in qualifying, where he achieved first place in his qualifying group. Leading for most of the race, Rashid looked certain to achieve victory, however in the last two corners of the race, he faced impact from not one, but two karts on both left and right, making it difficult to defend, with only a few metres left until the finish line, leaving Al Dhaheri completing the race in third following a thoroughly excellent performance throughout.